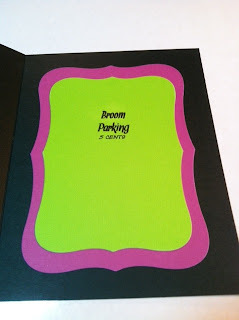 I'm so excited to be a guest designer on Exploring Cricut. Thank you so much Dianne for asking me. I wanted to use a Cricut cartridge that I had not used before. I went with Mini Monsters. 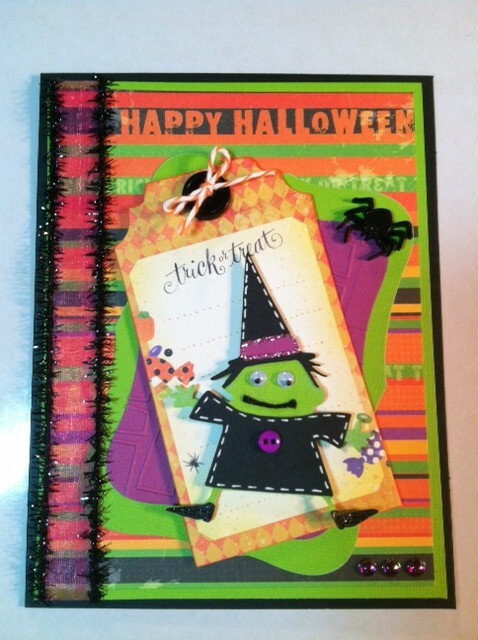 I really love Halloween colors and thought this card turned out cute. I also have not used a pre-made tag on card before and thought this tag from K&Company was perfect for the witch to go on. This is the inside of my card. The sentiment is from My Craft Spot "Happy Haunting". When I saw this saying I just had to use it. WE ARE ONLY 10 FOLLOWERS AWAY FROM OUR $100. MICHAEL'S GIFTCARD GIVEAWAY!! What an adorable Halloween card! love the witch!!! Cute card! I love that witch as she is so fun and quirky. lol I love the sentiment too! Yay only 10 followers away! That is so awesome!! Love it! I have to get this cart! It is so cute!